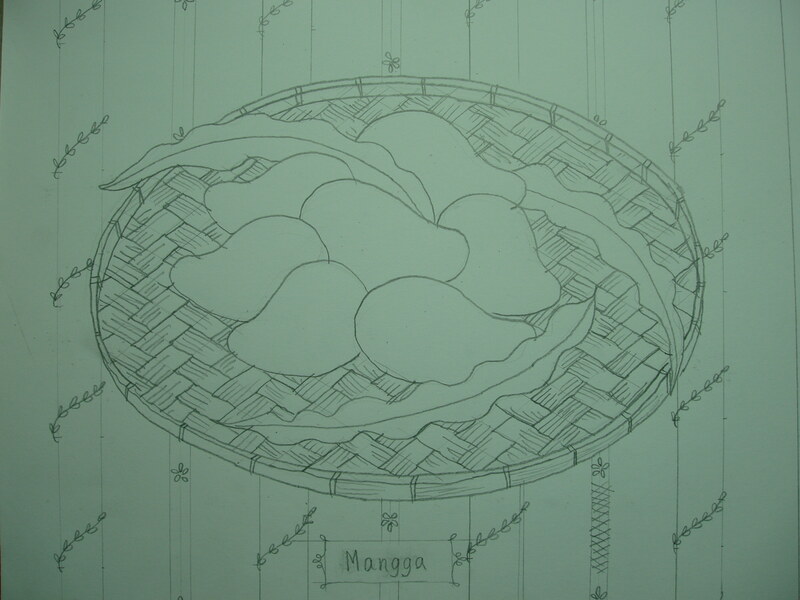 It shows 7 mangoes on a bilao, a round hand-woven bamboo tray. 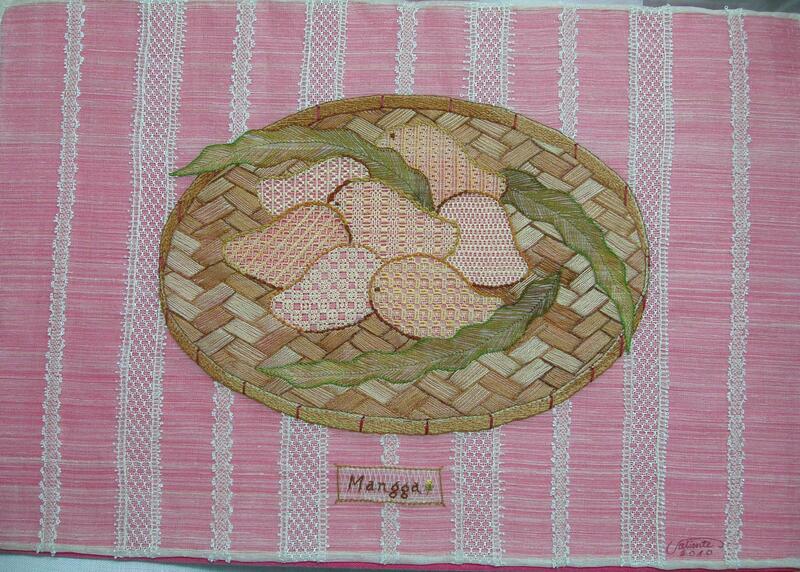 Each mango is done in different ajour stitches. 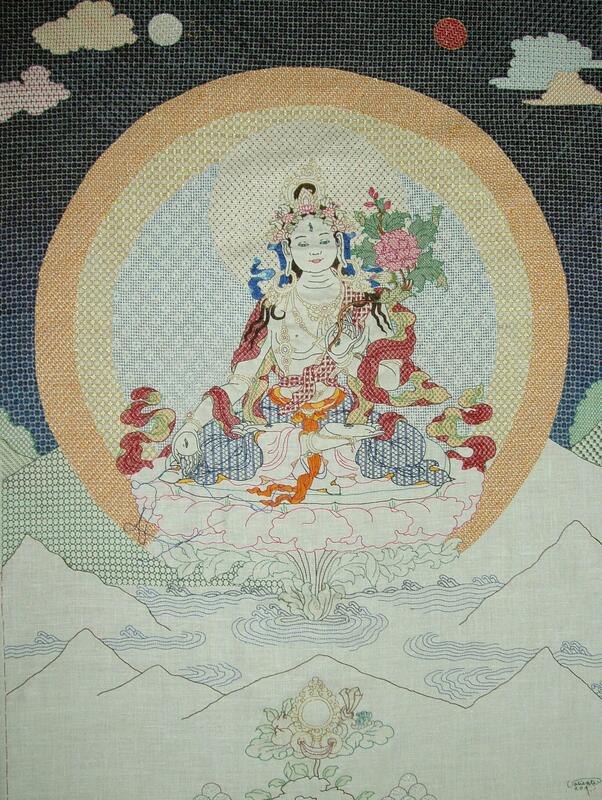 The background has ajour work too. And I am also trying some new stitches. Feb.5, 2010: First photo update after 23 hours. After 46 hours, here is another update. 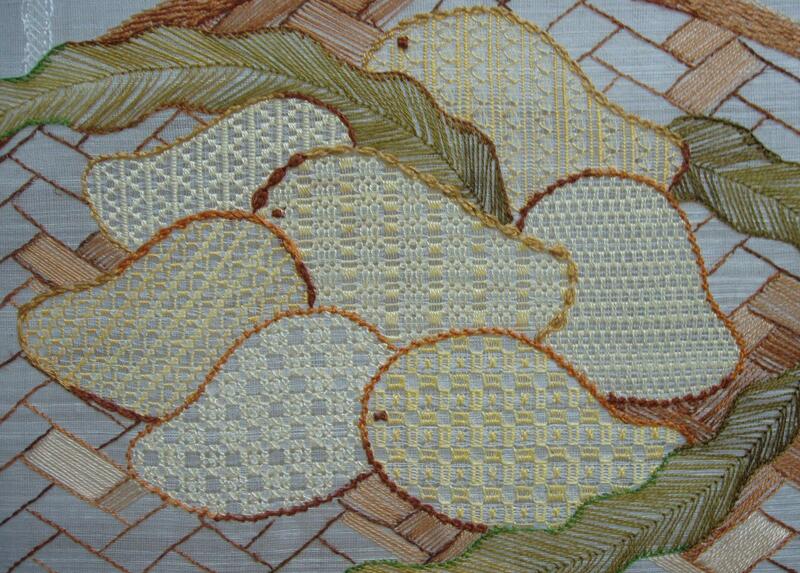 The leaves are leaf stitches outlined with buttonhole stitches. 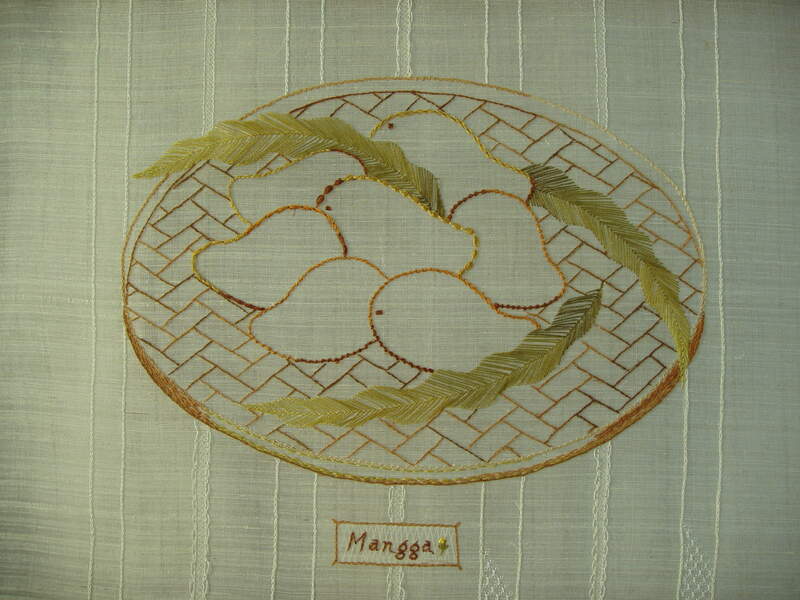 All the mangoes are filled with 7 ajour stitches and outlined with 7 “line or chain” stitches. 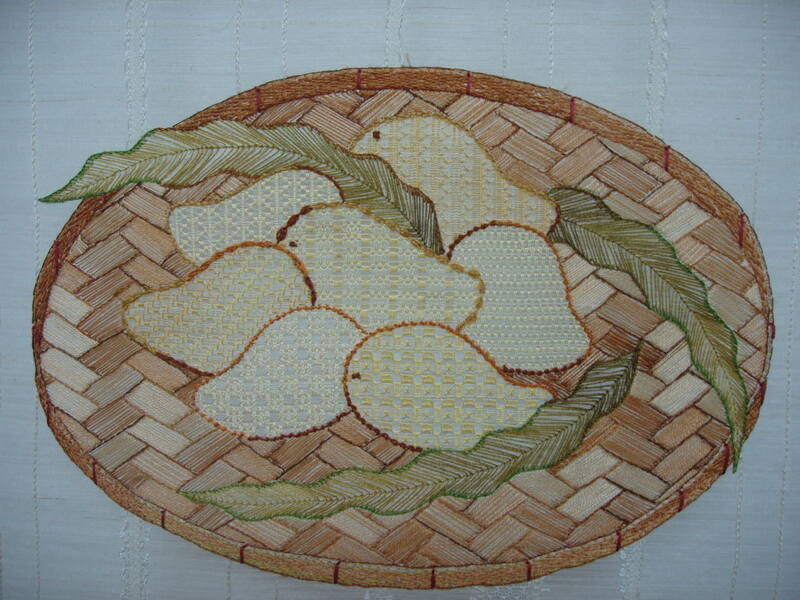 Next is the bamboo tray. Update February 16, 2010: The bamboo tray is finished. 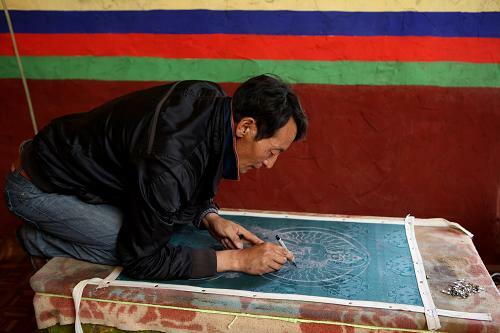 Now comes the laces on the background. 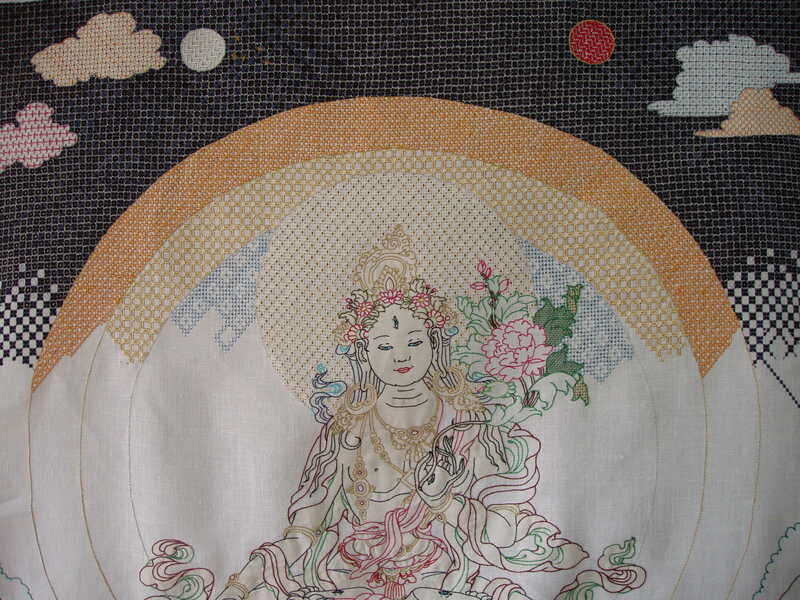 They are strips of embroidered lace across the background. Finally the laces are finished and ready for exhibition on March 13 and 14, 2010. 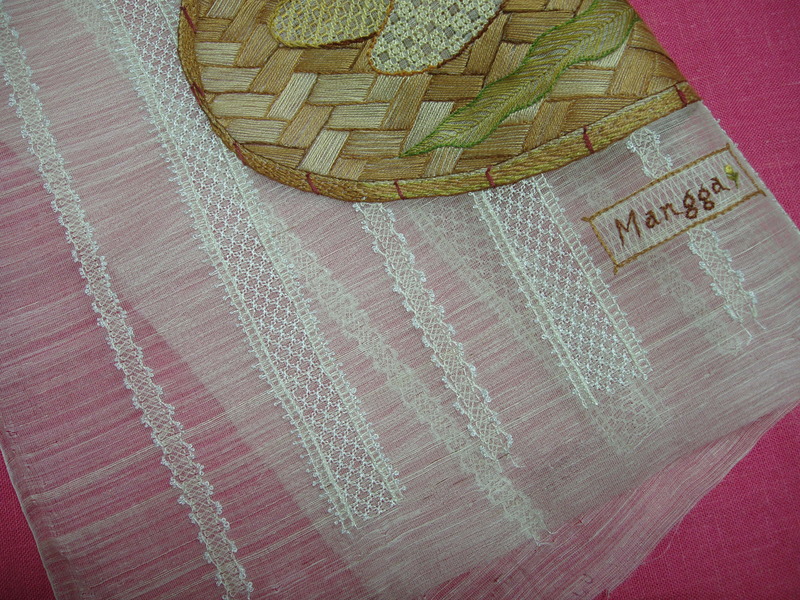 Click on the photos for larger view of the embroidered laces! 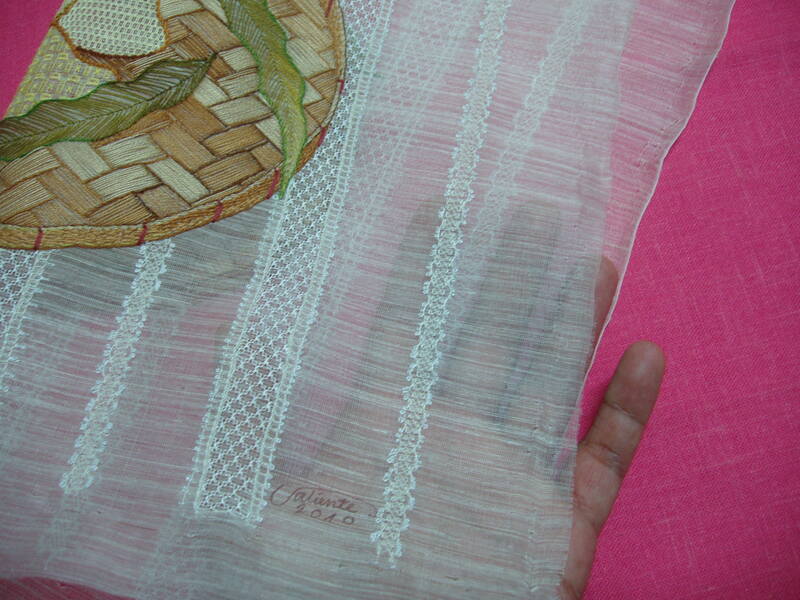 The fabric is transparent not only because of the fine silk and pineapple fibers, the fabric is also not tightly woven. So I decided to just write my signature, rather than embroider it.